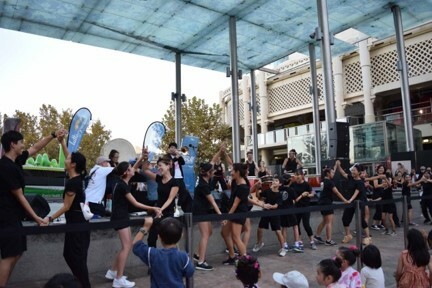 On March 10、the fifth annual Perth Japan Festival was held at Forrest Place located in front of Perth Station. 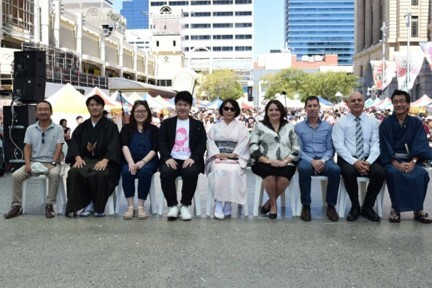 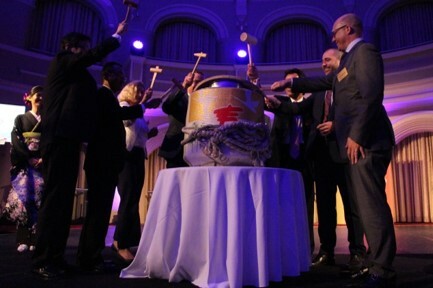 Attending the opening ceremony was Mr. Tony Krsticevic MLA, representing the Leader of the Opposition, Mr. Tatsuo Hirayama, Consul-General of Japan, Ms. Gaye McMath, Commissioner City of Perth, and Mr. Ivan Vella, Managing Director Port, Rail & Core services – Iron Ore, Rio Tinto. 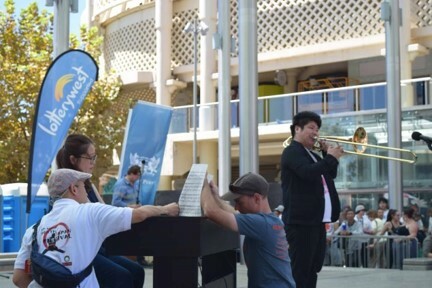 The festival showcased dances by the Japanese School, taiko performances, choirs, Okinawan song and dance, martial arts demonstrations, including judo, kendo, aikido and karate, as well as a 10 meter sushi rolling demonstration. 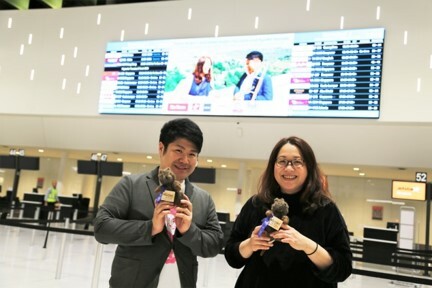 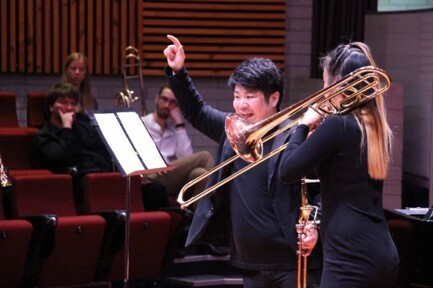 We were also honored to have Japan Philharmonic Orchestra principal trombonist Mr. Kojiro Fujihara and pianist Ms. Kyoko Harada open and close the festival with their outstanding performances. 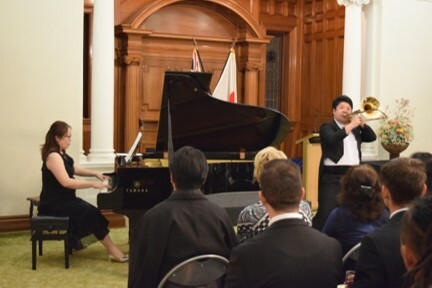 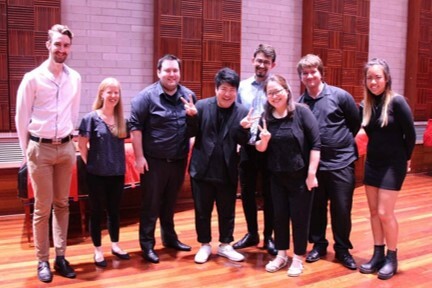 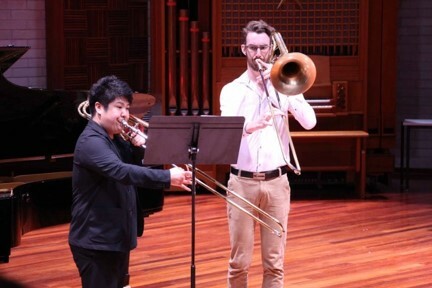 In addition to the Japan Festival, Mr. Kojiro Fujihara and Ms. Kyoko Harada held a recital at the Consul-General’s Official Residence and a workshop at the Western Australian Academy of Performing Arts (WAAPA), taking these opportunities to interact with Western Australian musicians while further developing the WA-Japan relationship. 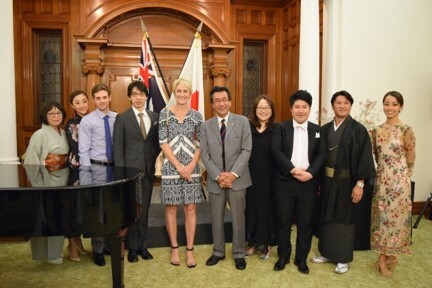 In the lead up to the festival, approximately 220 people attended The Corporate Matsuri Event at Government House, the Official Residence of the Western Australian Governor, on March 6, including The Hon Roger Cook MLA, Deputy Premier of Western Australia, Dr. Mike Nahan MLA, Leader of the Opposition, festival executive committee members and representatives of official sponsors. 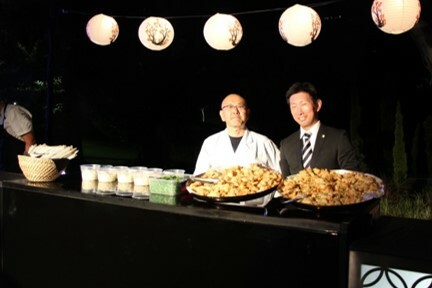 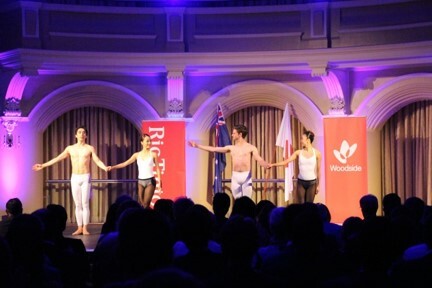 Attendees enjoyed performances by Japanese ballerinas as well as Japanese food and sake.